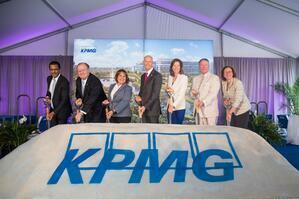 After announcing plans to build a $430 million global learning, development and innovation facility in Orlando, in early January, KPMG has already broken ground on its 55-acre, 800,000-square-foot operation in Lake Nona. 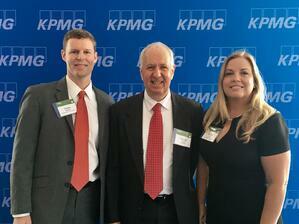 This is the firm’s largest capital investment project ever according to KPMG LLP Chairman and CEO Lynne Doughtie. Set to open in 2019, the project began roughly two years ago when KPMG listed Orlando among 49 cities as a possible location before short-listing the list to nine communities. Eventually, Orlando bested Dallas, Texas, for the location. The Orlando Economic Partnership worked closely with the State of Florida, Enterprise Florida, Orange County, City of Orlando, Orlando Utilities Commission, CareerSource Florida, CareerSource Central Florida, Visit Orlando and the Greater Orlando Aviation Authority on this project.